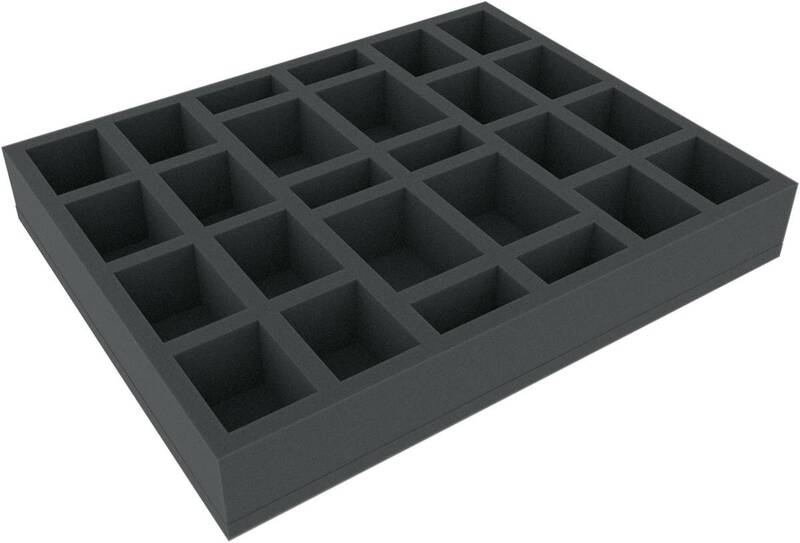 This foam tray has 26 compartments for the safe and orderly storage of your Guild Ball miniatures. The fine-pored foam reliably protects the fragile parts of your models from breaking and paint from getting scratched. The tray will hold differently-sized models. 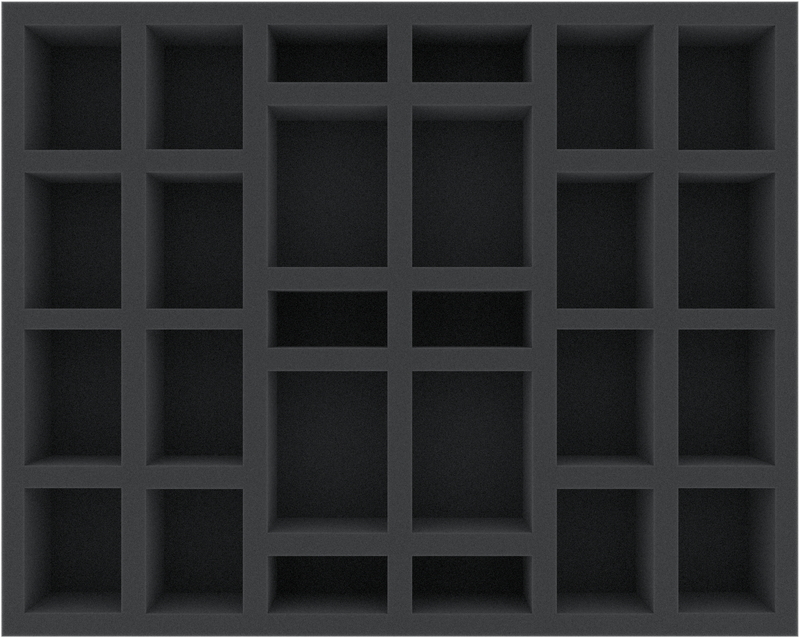 The foam tray has the dimensions: 345 mm x 275 mm x 50 mm (40 mm usable height + 10 mm foam base).